In my 2012 primer on fundamental tax reform, I highlighted the three biggest warts in the current system. 1. High tax rates that penalize productive behavior such as work and entrepreneurship. 2. Pervasive double taxation that undermines saving and investment. 3. Corrupt loopholes and cronyism that lure people into using resources inefficiently. These problems all need to be addressed, along with additional problems with the internal revenue code, such as worldwide taxation and erosion of constitutional freedoms and civil liberties. Based on these criteria, I’ve already reviewed the tax reform plan put forth by Marco Rubio. And I’ve analyzed the proposal introduced by Rand Paul. Now let’s apply the same treatment to the “Reform and Growth Act of 2017” that former Florida Governor Jeb Bush has unveiled in today’s Wall Street Journal. Bush identifies three main goals, starting with lower tax rates. First, I want to lower taxes and make the tax code simple, fair and clear. …We will cut individual rates from seven brackets to three: 28%, 25% and 10%. At 28%, the highest tax bracket would return to where it was when President Ronald Reagan signed into law his monumental and successful 1986 tax reform. This is a positive step, effectively wiping out the tax-rate increases imposed by Presidents George H.W. Bush, Bill Clinton, and Barack Obama. Then Governor Bush takes aim at tax loopholes. Second, I want to eliminate the convoluted, lobbyist-created loopholes in the code. For years, wealthy individuals have deducted a much greater share of their income than everyone else. We will retain the deductibility of charitable contributions but cap the deductions used by the wealthy and Washington special interests, enabling tax-rate cuts across the board for everyone. This also is a step in the right direction, though it’s unclear what Bush is proposing – if anything – for other big tax loopholes such as the mortgage interest deduction, the healthcare exclusion, the state and local tax deduction, and the municipal bond exemption. The final big piece of Jeb’s plan deals with America’s punitive treatment of business income. Third, I believe that the tax code should no longer be an impediment to the nation’s competitiveness with China, Europe and the rest of the world. …To stop American companies from moving out of the country, I will cut the corporate tax rate from 35%—the highest in the industrial world—to 20%, which is five percentage points below China’s. We will end the practice of world-wide taxation on U.S. businesses, which fosters the insidious tactic called corporate “inversions.” …We will also allow businesses to fully and immediately deduct new capital investments—a critical step to increase worker productivity and wages. All of these reforms are very good for growth. A lower corporate tax rate, particularly combined with territorial taxation and “expensing” of investment expenditures, will make American companies far more competitive. More important, these reforms will fix flaws in the tax code that reduce capital formation. And that will mean more investment and higher wages for American workers. There are other positive features mentioned in the column that are worth celebrating. Governor Bush’s plan eliminates the death tax, which is an especially punitive form of double taxation. His proposal also gets rid of the alternative minimum tax (AMT), which is a convoluted part of the tax code seemingly designed to grab more money from taxpayers in a very complicated fashion. Now let’s move to a part of Bush’s plan that seems bad, but arguably is good. He’s proposing to get rid of interest deductibility for companies, which will increase double taxation (remember, investors who buy corporate bonds pay tax on the interest payments they receive from firms). …we will eliminate most corporate tax deductions—which is where favor-seeking and lobbying are most common—and remove the deduction for borrowing costs. That deduction encourages business models dependent on heavy debt. So why is this feature arguably good when one of the key goals of tax reform is eliminating double taxation? For two reasons. First, we already have double taxation of dividends (i.e., equity-financed investment), so imposing double taxation on borrowing (i.e., debt-financed investment) creates a level playing field and addresses the bias for debt in the tax code. To be sure, it would be best to level the playing field by having no double taxation of any kind, but presumably the Bush team also was paying attention to revenue constraints. And this is the second reason why this portion of the plan arguably is good. The revenue implications of this change are non-trivial, so one could argue that it is helping to finance pro-growth changes such as a lower corporate tax rate and immediate expensing of business investment. Let’s close by highlighting some unambiguously worrisome features of the Bush plan. According to his column, an additional 15 million Americans no longer will have any income tax liability, largely because the plan almost doubles the standard deduction. It’s good for people not to have to pay tax, of course, but we already have a system where almost half of all households are exempt from the income tax. So the concern is that we have a growing share of the population that perceives government as a no-cost dispenser of goodies. And one of those goodies is the Earned Income Tax Credit, which is a form of income redistribution operated through the tax code. And Bush is proposing to expand the EITC, though there aren’t any details about this part of his plan. Presumably Bush is including these provisions to somewhat fend off the class-warfare attack that his plan provides big tax cuts for the “rich” while not doing enough for the rest of the population. Yet upper-income taxpayers already pay the lion’s share of the income tax. 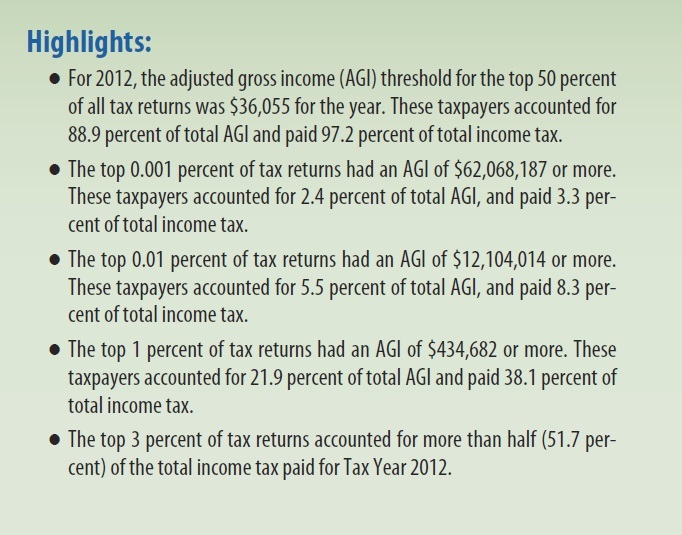 Even the IRS has acknowledged that the top 3 percent pay more than half the burden! So a fair tax cut, by definition, will benefit the rich since they’re the ones who are carrying the load. In any event, the purpose of good tax policy is to generate faster growth by improving incentives for work, saving, investment, and entrepreneurship, and that’s where you get the big benefits for lower- and middle-income taxpayers. Simply stated, the close you get to a Hong Kong-style flat tax, the closer you get to robust Hong Kong-type growth rates. The bottom line is that Bush’s tax plan isn’t a touchdown. Like the Rubio plan and Paul plan, it’s not a Hall-Rabushka flat tax, which is the gold standard for tax reform. But it’s a big step in that direction. Bush takes the ball from the wrong side of the field and puts it on the right side of the field. If implemented (and accompanied by the spending restraint needed to make the plan sustainable), Bush’s proposal would be a significant boost for the American economy and American taxpayers. Remember his Father’s infamous promise “read my lips” statement. The Bush Family are part of the wealthy so is it really believable when the wealthy !% suggest they are going to reduce taxes for the 99%. This is a campaign proposal that will never see the light of day were Bush to be elected. Until I see this scored for revenue under various growth assumptoins by say a CBO, I’m skeptical because it looks like another plan that’s attractive on the surface but (i) Will it generate enought revenue to stabilize or reduce the debt to GDP ratio? (ii) comment: Inheritance tax is n t all bad thing if at the 5 – 10 MM exemption level despite the fact that some big GOP donors are probably against – it creates an incentive for capital to be productive prevents dynasties and use wealth for good purposes. and the devil is in the details – What does the plan do with the major tax expenditures? : charitable conductions , cadilac health care plans and mortgage deductuoins the three key drvers of revenue? Kpp up the good wowrk – why not do a real cirticasl analysis of the 3 5 and say 10 year debt to GDP ratois under reasonsble growth abnd spending projectoins?